With the opioid epidemic overtaking the country, there are new laws and regulations in place to help those who are trying to help the people who are using drugs as well as the person addicted. The Good Samaritan Drug Overdose Act is one that encourages people to seek treatment if they have overdosed. There is a growing concern for more people overdosing on various types of drugs according to the Centers for Disease Control. Since 2015, over 52,000 people in the United States have died because of a drug overdose. The drugs of choice aren’t just heroin or cocaine. They are prescription drugs as well as fentanyl and combinations of multiple drugs. Sometimes, people get drugs that have been laced with other substances. They don’t know what’s in the drug, which often leads to an overdose because the strength is stronger than it would normally be or there are substances that impact the body in a way that is worse than the perceived drug would. There are 30 states that have seen at least a minimal increase in the number of overdoses or deaths as a result of people using drugs. Most deaths are from heroin use. 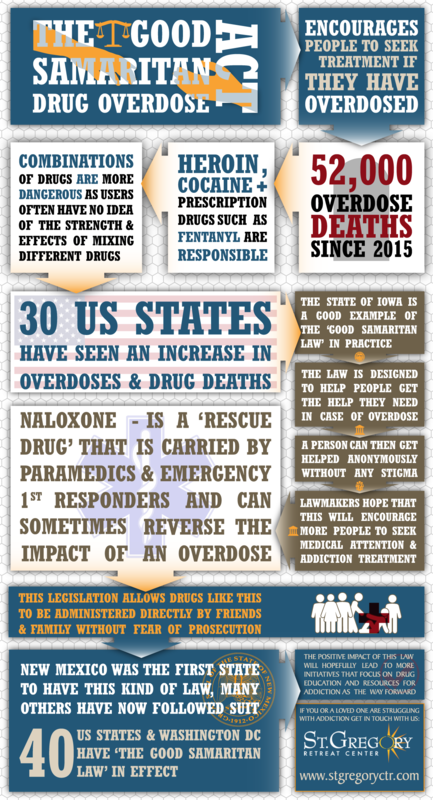 Beginning in 2016, states like Iowa started to enact the Good Samaritan Drug Overdose Act. Officials who have enacted the Iowa Good Samaritan Law want people to be able to get the help that they need without feeling ashamed and without other people knowing what they’ve done. More importantly however, it allows a person to receive the medical attention and addiction help they need. Lawmakers hope that laws like this will mean more people seeking treatment. There is also the hope that more funding will be given for drug education and resources to help those who have addictions. Without help, more people will likely overdose. Penalties for overdosing and using drugs will likely be modified under the Iowa Good Samaritan Law as well. This means that those who are caught with drugs or those who seek help after an overdose will get addiction treatment assistance instead of being put in jail. Naloxone is a drug that many paramedics and other emergency responders are carrying because it’s considered a rescue drug. It can reverse the impacts of an overdose if it’s given within a certain period of time after an overdose occurs. If the medication is given after the respiratory system shuts down, then there is very little that can be done to save the person. There are several ways that the drug can be given. There are few, if any, side effects from the treatment option. Legislation makes it possible for friends and family to also have access to the medication so that they can administer it and save lives as well. In the past, giving a medication like this was prohibited unless it was to a family member or unless it was between a doctor and a patient. Now, the Good Samaritan Law makes it possible for anyone to administer the drug without punishment. The first state to enact this kind of law was New Mexico with others following suit within a short time. 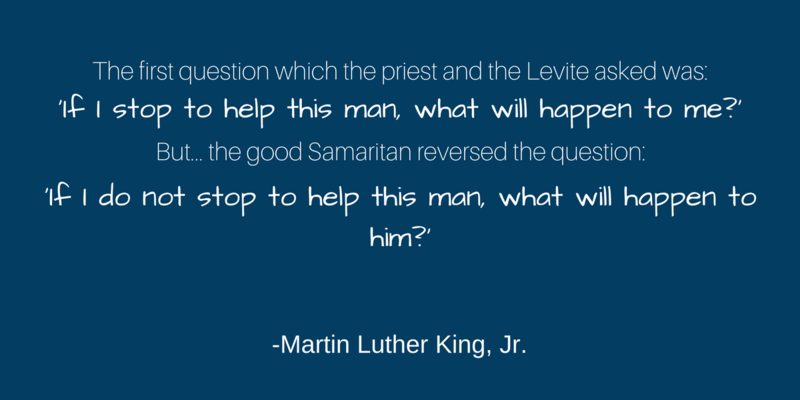 There are now 40 states and Washington, D.C. that have Good Samaritan laws in effect. The law provides immunity from being arrested when someone calls for help. The law is in place for people who have overdosed and those who are seeing someone in the middle of an overdose. An example would be someone witnessing a person in a vehicle or in a public area who has overdosed. There are some offenses that still exist, but they vary by each state. Lawmakers in Iowa have viewed this as a step forward to try to get more people the drug treatment they need so that they aren’t afraid. If you or a love one are struggling with addiction, the professionals at St. Gregory Recovery Center are here to help. Contact us today.